With a population of about 1-4 million citizens, the larger cities are the home to a diverse array of vandalism crimes. A city’s sprawling square-mileage features suburban neighborhoods, cosmopolitan-style downtown living, as well as industrial and factory-based businesses. Of all the crimes that cities experience, the only one that pervades all areas of the city is that of vandalism. While the term vandalism is defined in Wikipedia as “the deliberate, malicious destruction or damage of public or private property”, the crime of vandalism can be broken down into different categories. 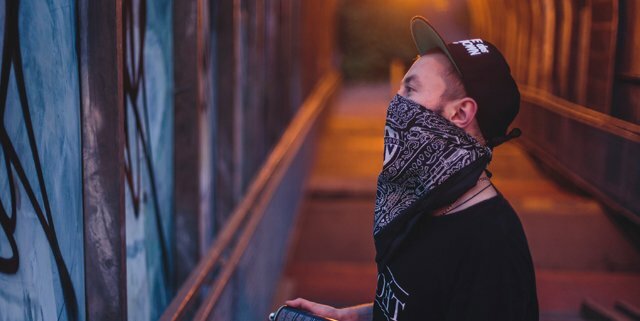 Graffiti and defacement, window-breaking, and even arson all find themselves under the umbrella term of vandalism, with graffiti often being the most prevalent form of the crime. Because of the high cost associated with an act of vandalism, many people consider vandalism to be one of the most expensive problems cities have to deal with. Los Angeles alone spends roughly $7 million annually on graffiti removal and prevention, while the overall cost of vandalism for the city’s taxpayers is much higher. These figures, however, do not include the cost of damages caused by vandalism on private property, which business and property owners must pay out of their own pocket to repair. Damage caused by criminal acts, like scrap metal theft, are another prominent form of vandalism. City-owned utility properties, such as electricity distribution centers, can cost taxpayers hundreds of thousands of dollars to replace damaged and stolen equipment by a thief’s intent on making a couple of bucks. With such a high cost associated with any act of vandalism, the price of such a crime is placed on the citizens of the community in which it takes place. As most of the budgets for a large city are already heavily constrained, money spent to repair damages caused by vandalism would be beneficial to other, more productive, city-run programs.